She starred in the films Matchstick Men and Drag Me to Hell, and also appeared in White Oleander and Delirious, as well as Nausicaa of the Valley of the Wind. She was too shy to participate in her high school drama class. She began treatment for ADHD when she was a young child. 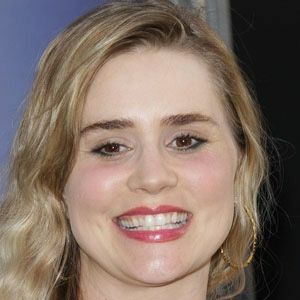 She married Mark Neveldine in 2009. They welcomed a son named Billy in 2010 and later welcomed a second child. She was a cast member in the film White Oleander, alongside Renee Zellweger.